Day 18: Favorite Supporting Female Anime Character? 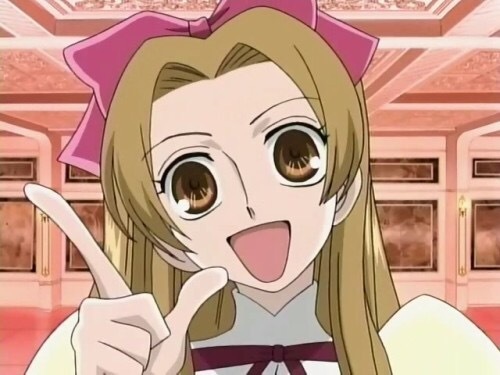 My favorite supporting female character in an anime has to be Renge Houshakuji from Ouran High School Host Club. This is because she just cause a whole lot of havoc and fun for the host club from the moment that she was introduced. She came in like a blazing fire ball and proclaimed herself to be the manager for the host club. Also I loved how much she loved Kyouya even though he didn’t like her back and I also really like how after her introduction every time she came on the scene she came through the floor with that awesome laugh of hers. Every time you heard that gear starting to churn you knew that Renge was coming onto the scene. So there ends day 18 of the 30 day anime challenge. But who is your favorite supporting female character. Comment below and let me know.